What Should an Outdoor Kitchen Comprise Of? Building an outdoor kitchen is an exciting but challenging task. You have to be able to work with the space that is available to you and stay within your budget while achieving the overall look and practical elements that you desire. To give you a hand, we’ve put together a few examples of how you can equip your outdoor kitchen. One of the most desirable outdoor kitchen looks is the rustic countryside feel. You might be living in the middle of bustling city, but that doesn’t mean you can’t create a mini retreat in your very own garden! Having your wood-fired pizza oven is the key to heavenly weekends full of fun, friends, and food. And as long as you have a little yard space, you can install one in less than a day and begin to enjoy awesome alfresco meals anytime you want. 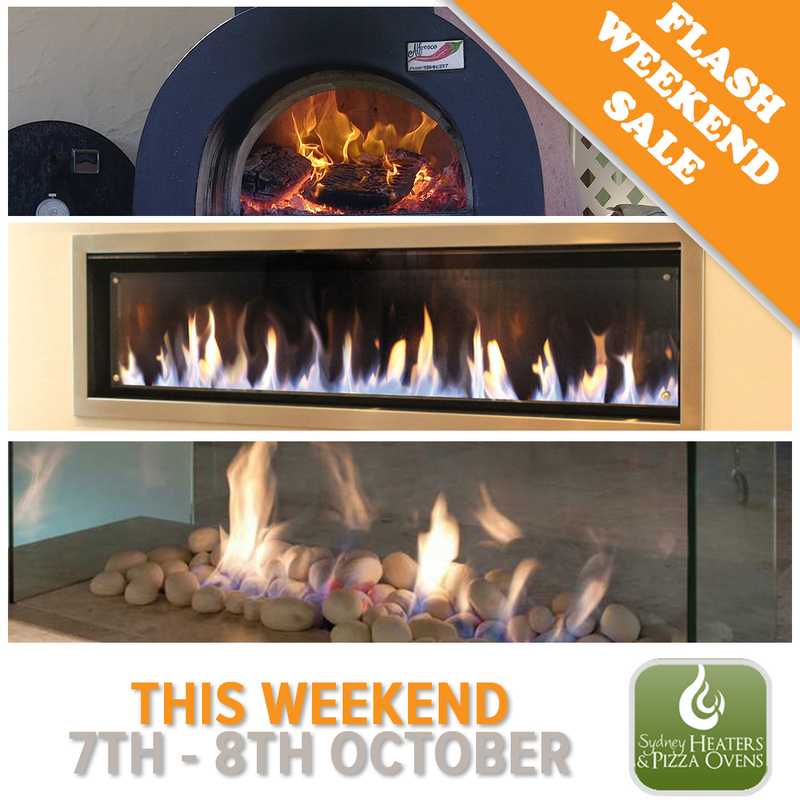 We are holding a special flash sale this weekend for all our heaters and pizza ovens! For this sale, we’ll be open from 9 a.m. to 3 p.m.
As always, thank you for shopping with Sydney Heaters!